Image: Elizabeth Weller/Flickr//Original photo was cropped but not altered for this article. Potatoes are a great staple, but prepping them can be a huge time sink. Keep these hacks for the next time they are on the menu. I love a good potato recipe, especially when an early-spring cold snap comes along. There are so many ways to prepare them, and they are the ultimate comfort food. But prepping them can be a huge pain, especially when it comes to peeling them. I don’t even want to think about all the hours I’ve spent standing over a sink, nicking my cuticles with a peeler while I work my way through a stack of spuds at an agonizing pace. 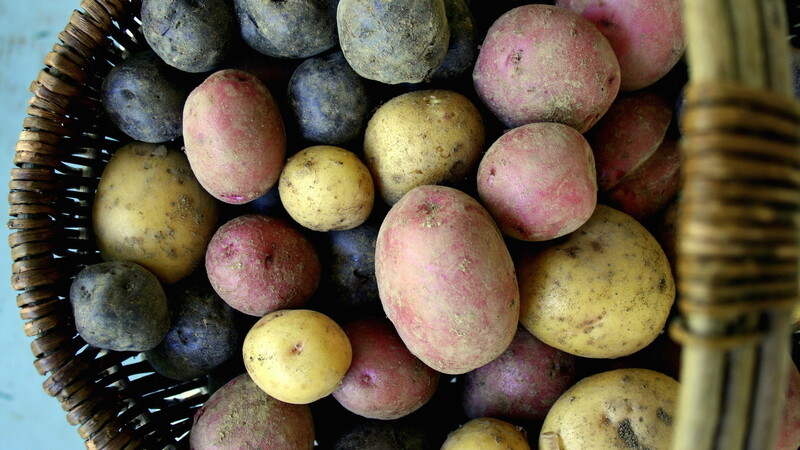 All you need is a knife, some boiling water, some cool water and, of course, some potatoes. You start by making a cut in the potatoes’ skins all the way around. Then you boil them for a bit, rinse them in cool water to make them easy to handle, and then voilà! The skins literally slip off in seconds. This genius shortcut makes it pretty tempting to add potatoes to the menu this week. There are lots you can do with this wonder tuber, whether you’re roasting them with a little bacon or putting them into a soup on a rainy, late-spring day. Whatever you decide to do, you can be sure you’ll be sitting down to eat faster by peeling potatoes this way.